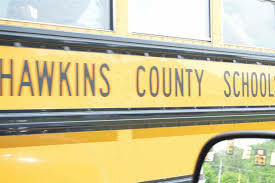 A former Hawkins County school bus driver has been awarded almost one hundred thousand dollars by a jury as part of a settlement in a gender discrimination lawsuit. Loretta Depew was awarded 96 thousand 800 dollars in damages, Depew filed the suit after she was fired in connection to an incident when a student hid on her bus and then was left to walk home before being picked up by a family members. Depew says a male bus driver who left a child on a bus in an earlier, but similar situation received only a three day suspension.